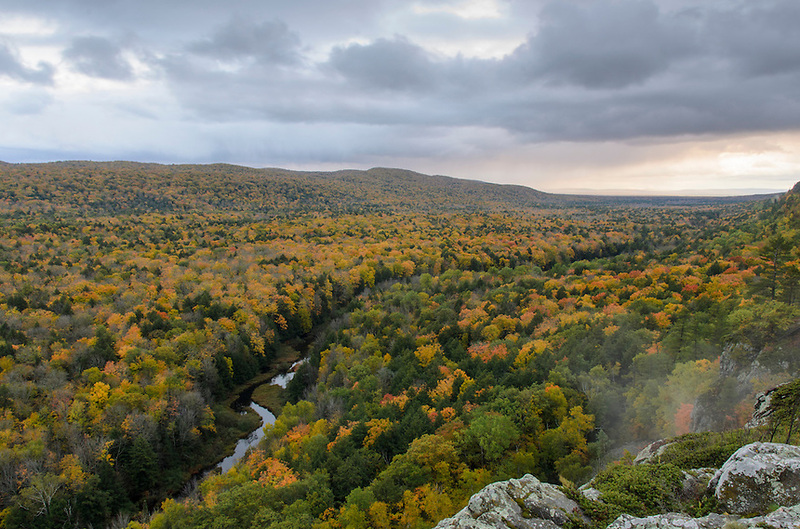 Autumn rain showers moving over the Big Carp River Valley in the Porcupine Mountains. Western U.P. of Michigan.